Mary Eleanor Wilkins Freeman was an American novelist (October 1852 - March 1930) and short story writer. The majority of her writing focused on New England life, a subject which she captured masterfully in her subtle and sublime short story A New England Nun. She was educated at Mount Holyoke Female Seminar (now Mount Holyoke College) and spent much of her life in Massachusetts and Vermont. 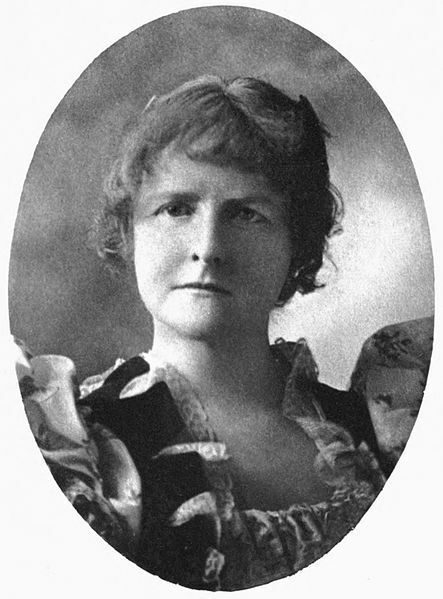 She produced over two dozen short stories and novels including two superb short story collections, A Humble Romance and Other Stories (1887) and A New England Nun and Other Stories (1891). For me, personally, discovering the works of Mary Freeman has been an absolute delight. I am rather disappointed that I majored in English at an Ivy League school where I took classes in American Literature and yet I never heard her name mentioned one single time! She is a fantastic writer that should be better known to modern audiences and I encourage anyone reading this page to take the time to explore her canon. She wrote with great range; producing charming children's stories like The Christmas Masquerade; playful poems in Once Upon a Time and Other Child-Verses ; ghost stories including the haunting Luella Miller (a story that stayed in my head for weeks after I read it); and feminist themed pieces like A New England Nun. All of those stories have depth! She is a brilliant writer that deserves attention from modern readers. In April 1926, Freeman was honored by the American Academy of Arts and Letters when she became the first recipient of the William Dean Howells Medal for Distinction in Fiction.